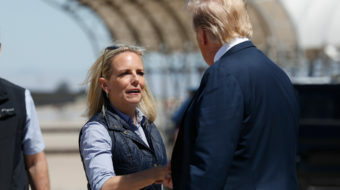 WASHINGTON—Opposition is mounting to what one critic calls a Trump administration attempt to “rig the census” by inserting a question demanding citizenship status that would make it likely minorities – especially those with Hispanic surnames – are undercounted. That planned question, unveiled by Trump Commerce Secretary Wilbur Ross, has already been challenged by California, New York, Common Cause, the Center for American Progress and other progressive groups. 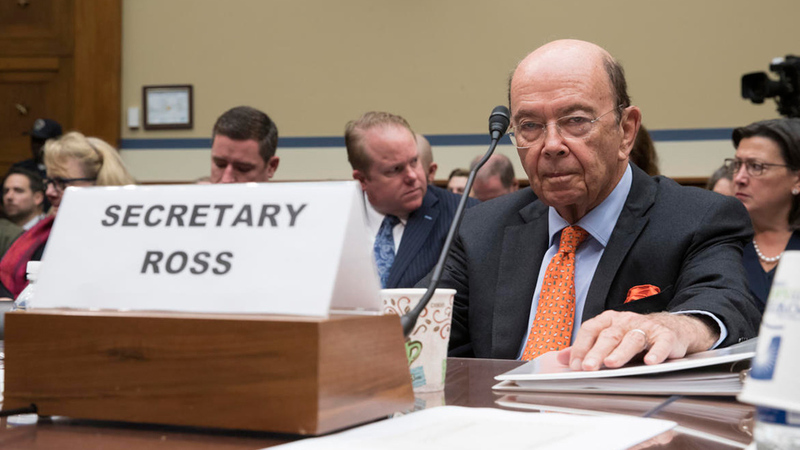 The state filed a lawsuit against Ross and his department – which includes the Census Bureau – in federal court in San Francisco. And Common Cause is circulating a petition opposing it and urging signers to call on Congress to stop the question. California Attorney General Xavier Becerra and the others say the citizenship question would cause a massive undercount of Hispanic-named people, fearful of retaliation by the federal government, even if they’re documented. So do 161 mayors from both parties, led by Bill de Blasio of New York, Eric Garcetti of Los Angeles and Mitch Landrieu of New Orleans. And an undercount would in turn shortchange states with high Hispanic populations, including California, Illinois, New York, Florida and Texas, on everything from federal funds to U.S. House and state legislative seats, depriving those residents of political power. There’s a precedent for that, too. The 1920 census was the first to show an urban majority. That development horrified and alarmed nativists and rural dwellers. 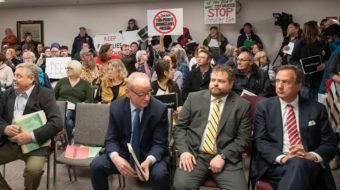 Their lawmakers conducted a successful 10-year rearguard action preventing redistricting – reallotment of congressional and state legislative seats – nationwide to prevent the shift of political power to the nation’s cities. “We must speak out NOW to demand that Congress prevent this deliberate attempt to rig the census to undercount communities of color. Tell your members of Congress to oppose any legislation and/or moves by the Census Bureau to add a question on citizenship or immigration status,” Common Cause said on its website petition. “Save The Census,” the Center for American Progress said. The citizenship question on the 2020 census form is “untested and unnecessary” and “yet another attack on immigrants, as well as fair representation across the nation.” The last time the bureau asked for citizenship status was 1960. “Experts are predicting the response rate to the census could drop drastically, as people avoid it out of fear and panic. Having an accurate census count is critical to every facet of our nation, from allocating resources at the local level, to congressional representation at the national level, and this change will only make it less likely we have accurate census data,” the center said. “Despite the administration’s claims that the addition is necessary for protecting voting rights — not something this administration has shown any interest in up until this point — it’s clear this is just a politically motivated attempt to harm communities,” the center added. The census, mandated by the U.S. Constitution every 10 years, is supposed to count every person residing in the country. But it has been plagued with undercount problems. A 1992 paper presented to the Census Bureau, for example, said the agency reported a 5.2 percent undercount of Hispanic-named people, a 4.8 percent undercount of African-Americans, a 3.1 percent undercount of Asian-Pacific Islanders and a 5 percent undercount of Native Americans. 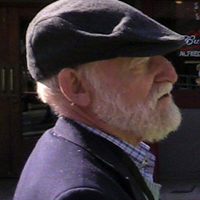 Author Jorge Duany noted the bureau’s yearly Current Population Survey showed the real Hispanic undercount in 1990 – 28 years ago – was 20 percent. “People routinely withhold information from the government because they suspect its motives in collecting data,” he added. And there are constant complaints and challenges from frigid Northeastern and Midwestern states and cities that an April 1 census date undercounts their populations because of “snowbirds” – residents who spend the winter months in sunnier climes. Both Becerra and the Leadership Conference for Civil and Human Rights, headed now by former Obama administration civil rights division chief Vanita Gupta, held Trump responsible for the citizenship question and its implications. Ross conceded he responded to a request for it from Trump Attorney General Jeff Sessions, who was notorious as a GOP senator for Alabama for his anti-Hispanic screeds. “The size of your child’s kindergarten class. Homeland Security funds for your community. Natural disaster preparation. Highway and mass transit resources. Health care and emergency room services,” Becerra added in an op-ed in the San Francisco Chronicle. “Vital services such as these would be jeopardized and our voice in government diminished if the U.S. Census Bureau’s 2020 count resulted in an undercount. Beyond its constitutional role in redistricting, a proper count conducted by the U.S. Census Bureau shapes our everyday lives. “The Trump administration is threatening to derail the integrity of the census by seeking to add a question relating to citizenship to the 2020 census questionnaire. Innocuous at first blush, its effect would be truly insidious. 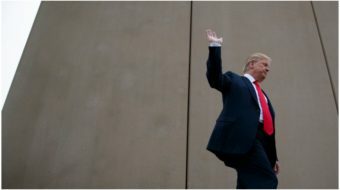 It would discourage noncitizens and their citizen family members from responding to the census, resulting in a less accurate population count,” he said. Minorities, especially Hispanics and African-Americans in the nation’s largest cities, are not the only groups concerned with an undercount. The Census Bureau plans not to ask a question about lesbian-gay-bisexual-transgender status, too. The LGBTQ community also wants to make sure it’s not overlooked or undercounted. “We’ve been erased!” one LGBTQ group said when a proposed list of census questions first had one about that status – and then didn’t.